Available as low as $0.85 per round over spot! The Golden State Mint issues some of the most iconic American coin designs on the surface of silver rounds. 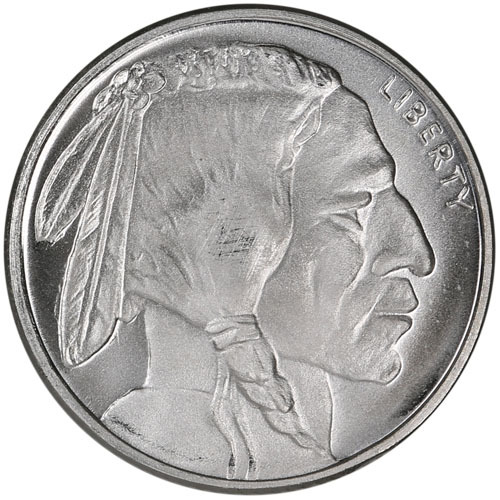 One of those many designs is the Buffalo Nickel, the nation’s five-cent piece in circulation from 1913 until 1938. 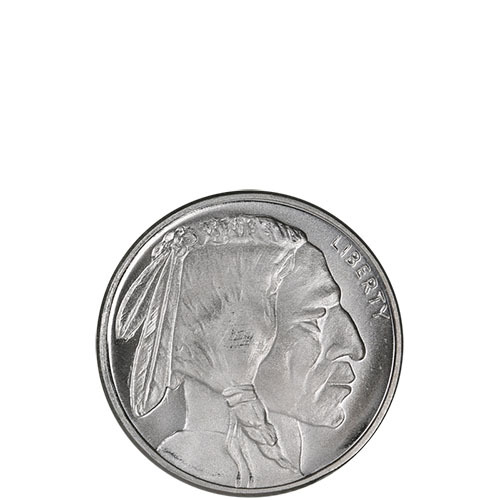 The 1/10 oz GSM Silver Buffalo Round is available to you right now for purchase online at Silver.com. Ships to you housed in protective flips or inside tubes of 50 rounds! The smallest fractional-weight available with the famed Buffalo design! An image of the American bison is found on the reverse. Designs by James Earle Fraser. James Earle Fraser was a famed sculptor in 20th century America. Born in Winona, Minnesota in 1876, his works are visible throughout the nation’s capital of Washington DC to this day. Among his many designs are the Contemplation of Justice and Authority of Law statues at the US Supreme Court Building, Alexander Hamilton’s statue at the United States Treasury building, and the William Howard Taft monument at Arlington National Cemetery in nearby Arlington, Virginia. His most visible design though is likely the artwork found on the Buffalo Nickel coin. Fraser was commissioned by the administration of President William Howard Taft to lead the redesign of the nickel, the first coin after the cent and Gold Eagles to receive a remake in the early 20th century. 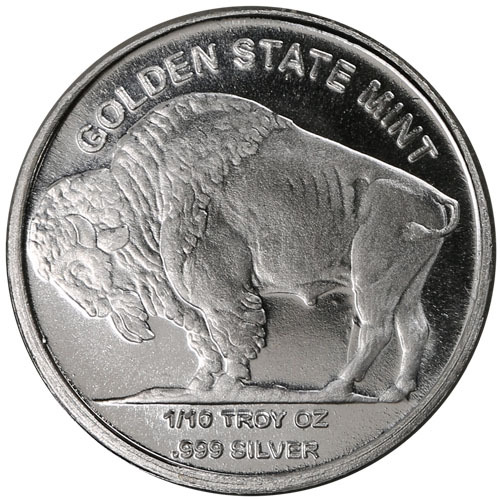 Golden State Mint Silver Buffalo Rounds are available to you inside of protective flips for individual silver rounds or tubes of 50 rounds for multiples. This design is constantly in production at Golden State Mint and is also available in ¼ and ½ oz silver, as well as 5 oz copper. The Golden State Mint is a private minting operation that opened in 1974. The private US mint strikes silver, gold, and copper rounds, many of which feature inspiring designs taken right from circulation US coinage of the past.